Colombo: Sri Lanka’s prime minister said the country was struggling to pay back its ballooning foreign debt, blaming a recent political crisis for dealing a “death blow” to the economy. 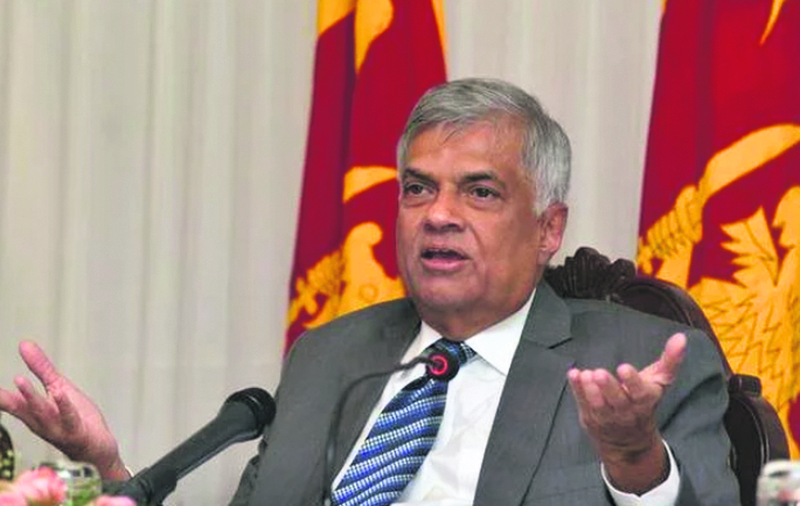 Ranil Wickremesinghe said his government was scrambling to raise $1.9 billion to help service a first debt payment of $2.6 billion. Sri Lanka faces $5.9 billion in foreign debt repayments in 2019, a record for the cash-strapped island. The country lost $1 billion in foreign reserves during a power struggle between Wickremesinghe and President Maithripala Sirisena in late 2018. “We are yet to quantify the losses, but it was a death blow to an economy that was struggling to recover,” Wickremesinghe told parliament. Three global ratings agencies downgraded Sri Lanka during the crisis, making it more expensive for the Indian Ocean nation to access foreign loans.